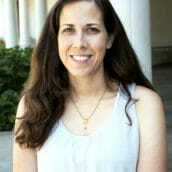 Mrs. Kara Sarkar is a Los Angeles area native and enjoys the teaching and learning process in and out of the classroom. After graduating from UCLA in 2005, Mrs. Sarkar attended the University of Pennsylvania Graduate School of Education where she student taught in inner-city Philadelphia and earned a Masters in 2006. After returning to Southern California in 2008, Mrs. Sarkar taught math and writing in a Catholic school for eight years. Mrs. Sarkar’s interests in teaching include math pedagogy, interdisciplinary connections, written expression, and art/cultural analysis. Mrs. Sarkar enjoys spending time with her family, swimming, hiking, eating, traveling, cheering for the UCLA Bruins, going to museums, and visiting the beach.